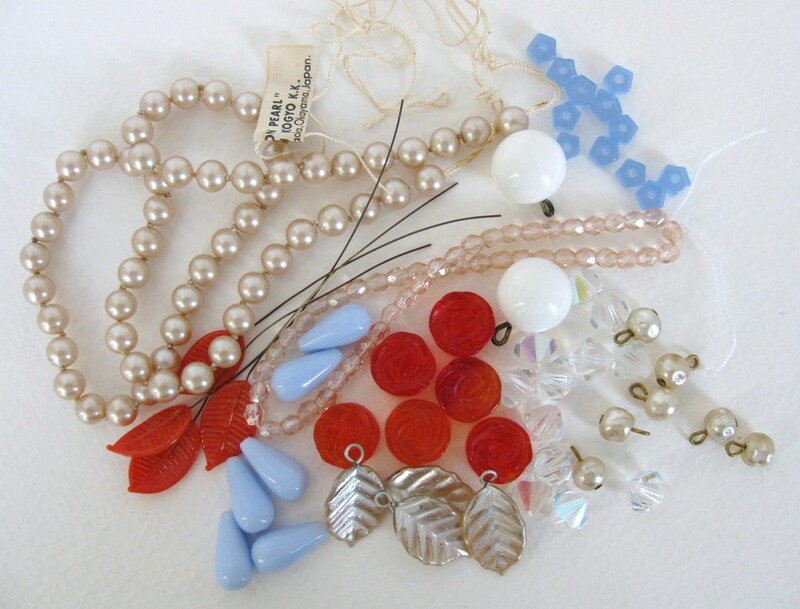 Bumbershoot Designs and Supplies is a family owned vintage supply shop specializing in vintage beads, cabochons, rhinestones, buttons and trims from 1900 to the 1980’s. Along with a marvelous selection of vintage goodies, their site also features an ongoing series of articles on the history and provenance of their supplies, tutorials and tips for working with vintage materials, featured artists who showcase different ways of using vintage components, and ideas for designs. All of these beads date in the 1940’s to 1960’s range, and they are from Japan (all the glass pearls, the white bead drops, the coral leaves on wire), West Germany (blue teardrops), and Czechoslovakia (everything else). 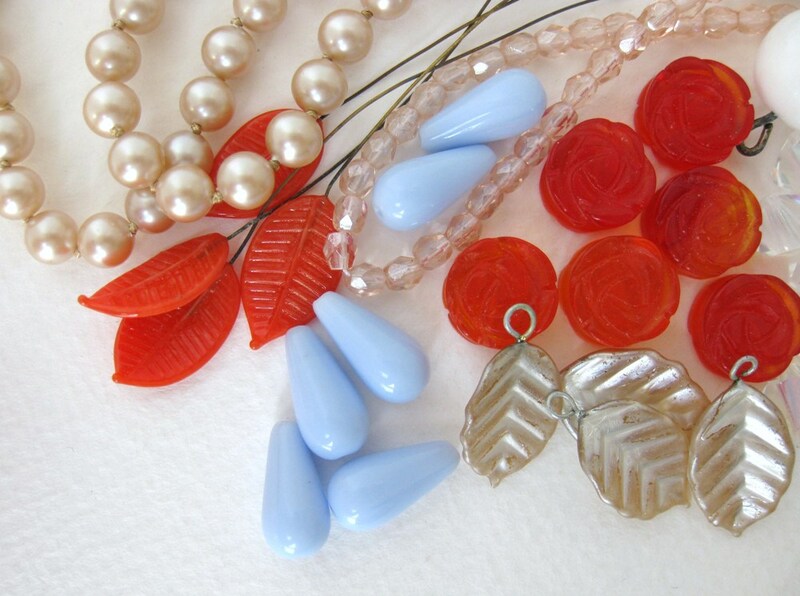 In case it is of interest to you and your readers, there are two relevant tutorials on my website: How to Seal Vintage Glass Pearls (for the pearl drops and the pearl leaves in particular) and Tips for Working With Beads on Wire or Wired Headpins (for the coral leaves). Tutorials and tips are at our website at the link. So here's what we're going to do: stay tuned, because in the next couple of days I'll be posting both a project tutorial and a giveaway. These are real beauties, so you don't want to miss out! What a dreamy collection! I'm such a fan of vintage beads and Bumbershoot Supplies!